Not every day turns out to be perfect. I attend an outdoor wine festival each year and unfortunately, my last dance with the bottle resulted in 8 hours of pretty constant rain. This kept me huddled under two large umbrellas while I was wrapped in my best waterproof hiking gear. The weather didn’t seem to deter anyone. The bands kept playing. The wine kept flowing. 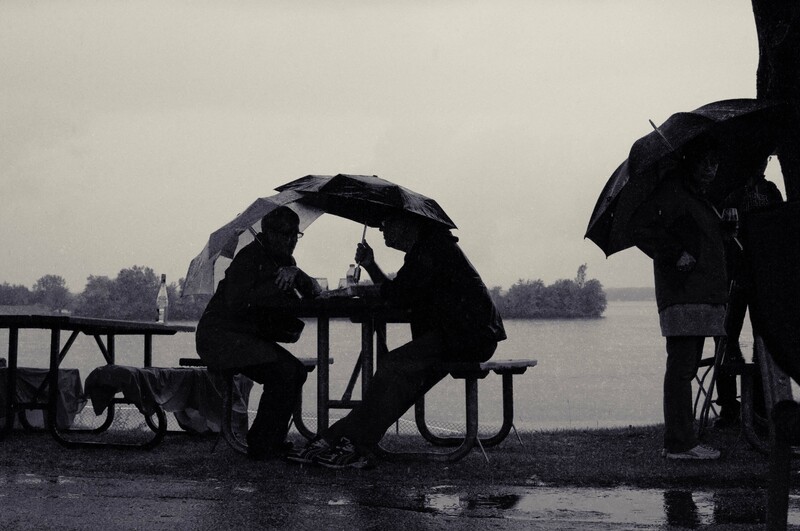 And hot food and umbrellas kept everyone fairly warm and dry. I took this shot from the safety of my seat at a couple enjoying a moment. This entry was posted in Event Photography, Low Light and tagged event photography, events, photography, Wine festival. Bookmark the permalink.